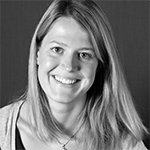 Emily Solly, a Postdoc within the URPP GCB recently received a SNSF Ambizione Grant for her project "When trees die: Understanding how plants and microbes interact and influence soil biogeochemical processes"
22.02.2019 Annabelle Constance wins best poster award at Biology'19 in Zurich, Switzerland. 09.02.2019 Fanny Petibon awarded prize at the EARSeL Workshop in Brno, Czech Republic. 19.11.2018 Cross-ecosystem carbon flows have been ignored until now, but they have important global effects. 04.10.2018 URPP GCB's Florian Altermatt was on air on Swiss Radio "Morgenstund" talking about biodiversity and global change. 24.09.2018 Alpine and Arctic tundra are warming 2-3 times faster than average. 27.03.2018 Gabriela Schaepman-Strub to represent Switzerland in the Arctic’s Council biodiversity working group, CAFF. 26.09.2017 Biodiversity protects against drought. 17.09.2017 bioDISCOVERY News: Natural Assets Definition Workshop. 04.09.2017 Swiss researchers from the URPP GCB are digitizing the forest!! 08.06.2017 Prof. Dr. Florian Altermatt elected vice-president of the Forum Biodiversität Schweiz of SCNAT. 08.05.2017 SNSF Scientific Image Competition results have now been released.